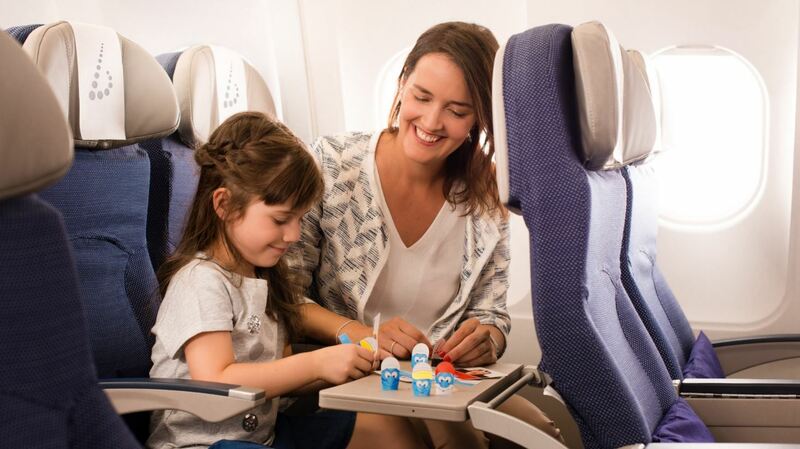 For over 50 years the Smurfs have been making children’s hearts race and from now on they can be found on board Brussels Airlines’ flights, to surprise the growing number of children travelling with the airline. With The Smurfs, the airline adds another famous Belgian ambassador to its partners. 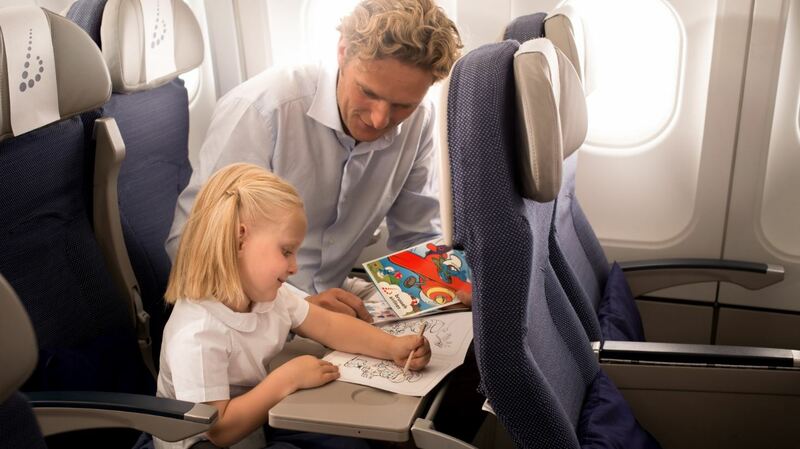 From now on, the famous blue-skinned characters also fly on board Brussels Airlines’ flights, as children who fly the Belgian airline to the States, Canada or Africa are all spoiled with a Smurf lunchbox, with Smurf coloring books, Smurf memory games and Smurf finger puppets. The child meals that are served in these boxes (meatballs in tomato sauce, pasta,…) have been carefully selected after a tasting session where more than 60 kids gave their input. 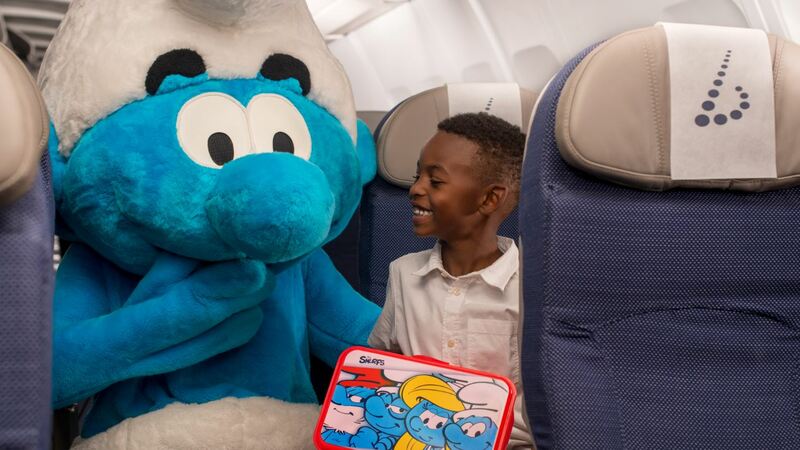 Children flying on the short haul network in Flex&Fast or Bizz&Class, receive a Smurf lunchbox on their flight out of Brussels. Specially for Brussels Airlines, graphic studio IMPS, who exploits the rights of Peyo’s work, created new Smurf characters: Captain Smurf and Cabin Crew Smurfette as well as Safari Smurf who travels to Africa.